J and I celebrated our anniversary this past weekend, and he was kind enough to get me a gift certificate to Nordstrom! It's hard to believe the man currently watching Looney Toones in his sweats beside me could think up such a sophisticated gift, but I'm happy to have both sides of this coin. This has permitted unbridled daydreaming for me. Flipping through my dog-ears from earlier this fall, I'm struck with the fact I could actually make some of my magazine wishlist a reality. That said, I know me, and I'll probably sit on it like Sophie's choice for the next few months. 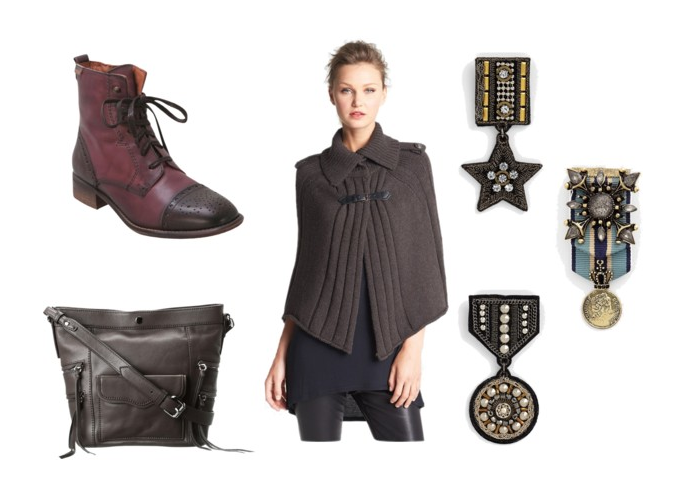 Regardless, here are some of my picks from the Nordstrom fall collection. I'm all about military-inspired gear. There is something especially great about these glammed-out badges. 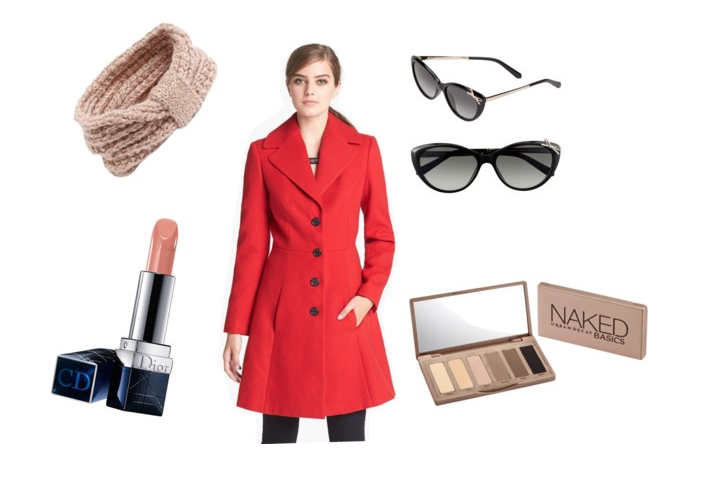 Classic Simplicity, with a pop of color. 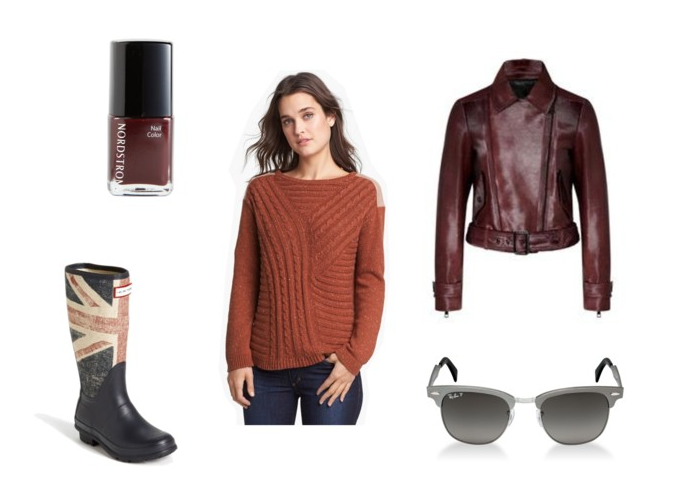 My favorite fall shades (oxblood, pumpkin, denim) and *shades* -- haha! 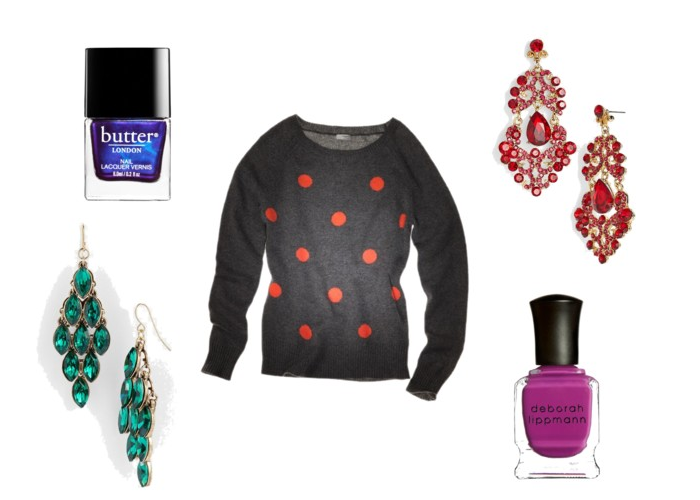 More color pops for gloomy days. 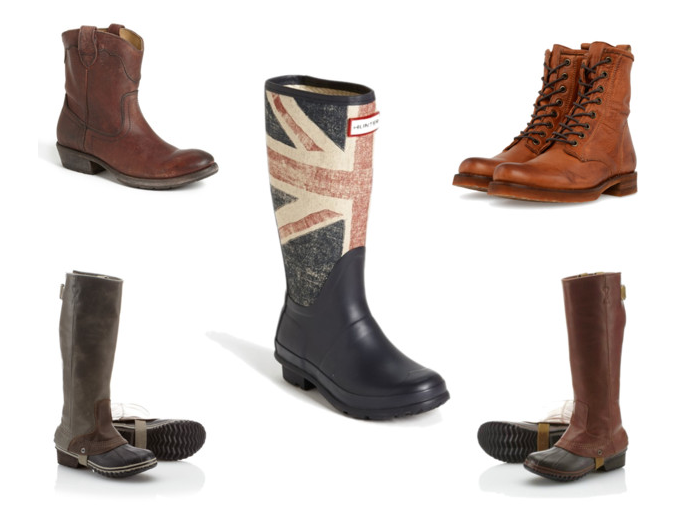 Another look at these fabulous Brit Hunter boots. Plus some adorable Fryes.